Luvata produces two kinds of coating to protect the coils within heating, ventilation, air conditioning and refrigeration units. 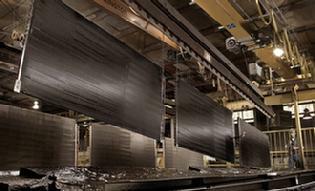 ElectroFin® E-Coat is a factory-applied solution which involves full immersion. Read more under E-Coat. 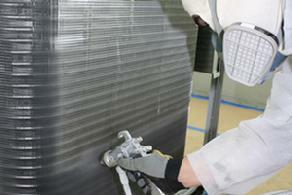 Luvata Insitu® is a spray-on coating, and can be applied either in the factory or in the field. Read more under Insitu. Both E-coat and Insitu coating processes are widely used by manufacturers of HVAC&R equipment and HVAC&R contractors all over the world.